Thought I would provide an update on what's been happening around the layout over the past several weeks. I have been working on a small, truck load tipple that will be located at Big Chimney, West Virginia. Below are several photos of progress to date. This project represents a bit of a departure from past tipple construction practices as the corrugated siding will be painted and weathered before adding it to the structure. I hope to have all of the siding pieces completed and painted by next week. Next up are the three Atlas cabooses that I mentioned in a previous post. 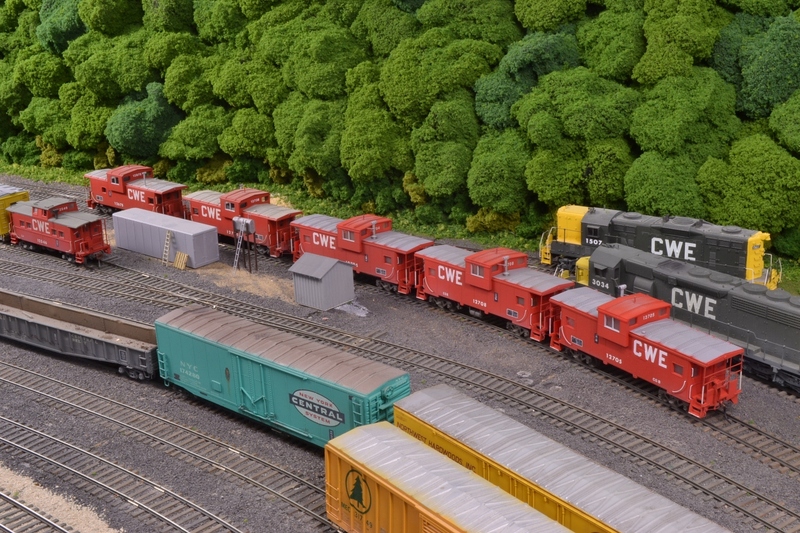 They are seen below on the caboose track at Hollister Yard along with two Athearn wide vision cabooses that were significantly altered back in the mid- 1980's. 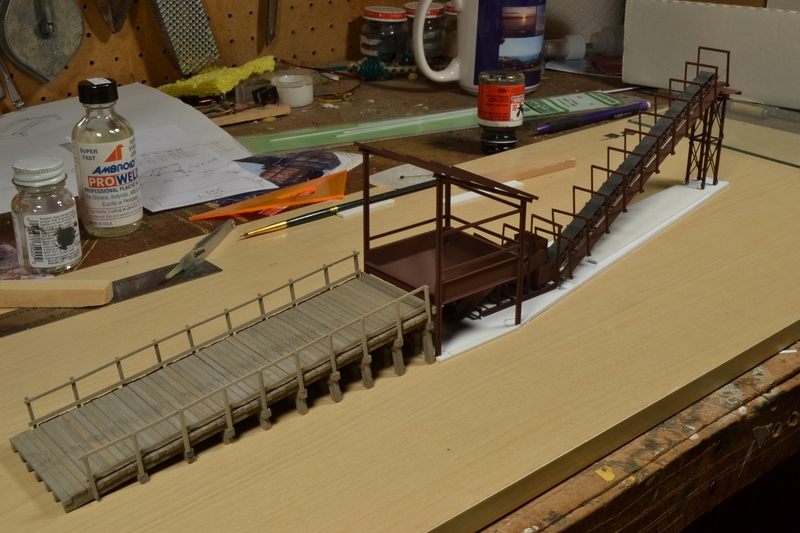 The Atlas cabooses have the first coat of weathering in place which will be followed by acrylic washes and powders. The scenery in this area isn't complete yet- all of the structures are set in place pending the final application of various ground covers. Last but not least is EL 69342. This car is a Walther's kit that was originally painted for the UP. I stripped the paint, added Herald King decals (that's how long this project has been in the works) and cut levers and painted and weathered it. This car was one of group constructed for the EL in November and December of 1974 to be used in service for General Foods. Here's a link to a photo of the prototype http://www.rr-fallenflags.org/el/frt/el69298g.jpg. 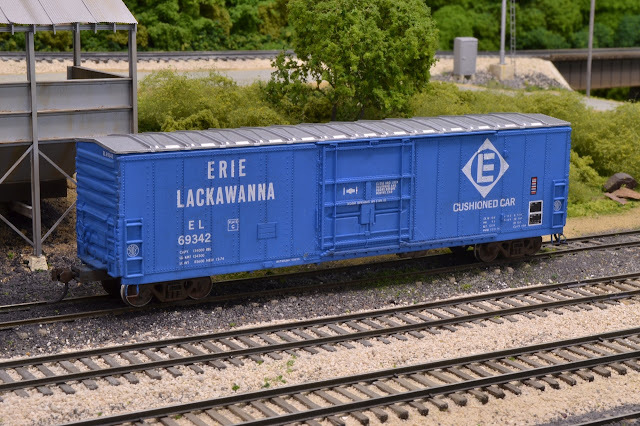 As the timeframe of the layout is 1976, this car was weathered to reflect a piece of equipment that had only been in service for several years. I have taken a few baby steps toward operations over the last month- more to follow on that topic. While waiting for the Dullcoat to dry on the Atlas cabooses, I finished a Stewart C628 that I purchased a number of years ago. I installed a SoundTraxx TSU-AT1000 sound decoder and a Cal Scale diesel detail package. The photo below shows the unit at the engine service facilities at Hollister Yard. 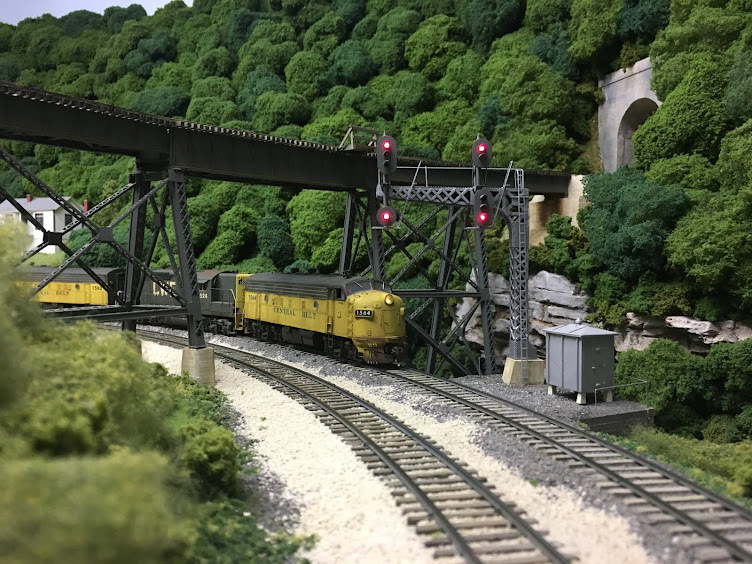 The photo below shows the unit in service at the head of a hopper train getting ready to leave Hollister Yard heading east.